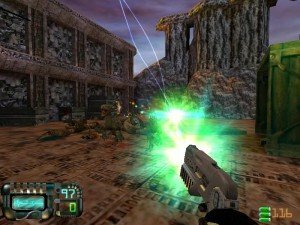 Rewolf Software has been working on Gunman Chronicles, in one form or another, for a very long time (even before they were formally known as ‘Rewolf Software’). 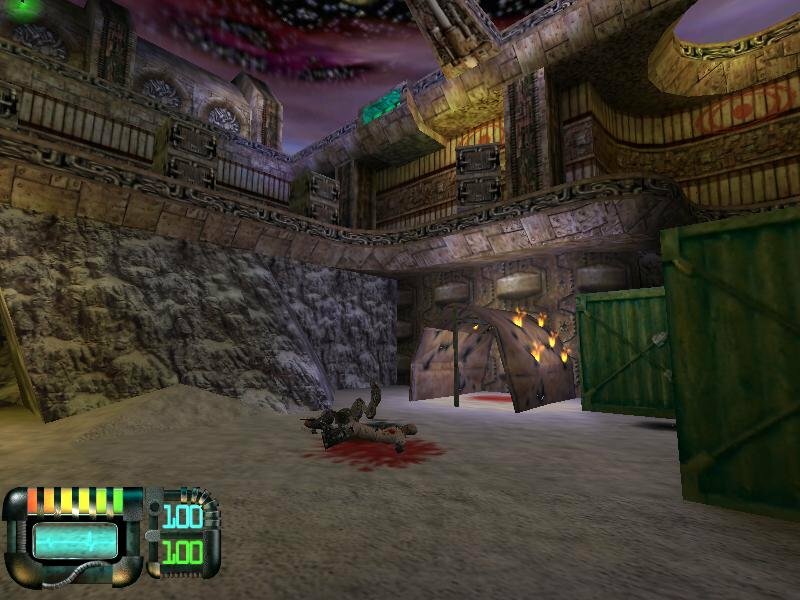 Gunman started out as a mod for the original Quake, and over time has evolved into a proper game powered by the Half-Life engine. 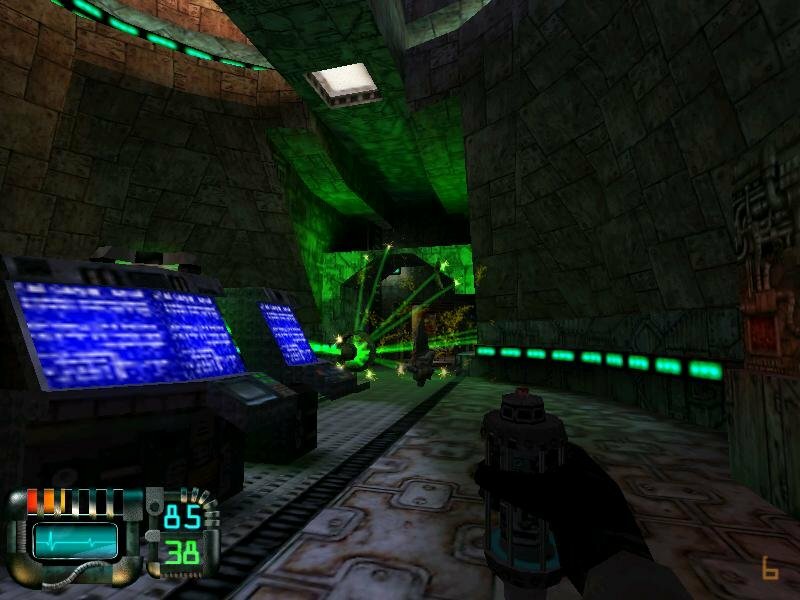 Thanks should go to Valve for recognizing the potential of the original team behind the mod, giving them full financial support for a commercial release. 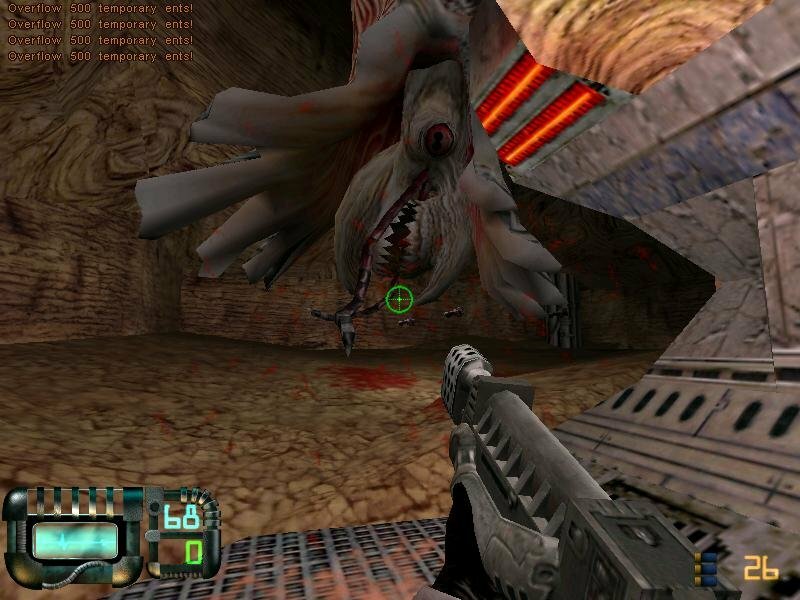 The resulting game is a standalone product, so you obviously won’t need the Half-Life CD in order to play. Gunman is an odd mix of western and sci-fi themes, essentially a space western. As a wink to the original Valve game, you start your journey on a tram. A voice recounts the morning news as you take a sort of space elevator to the Gunman space-station headquarters tucked away on an unstable asteroid. 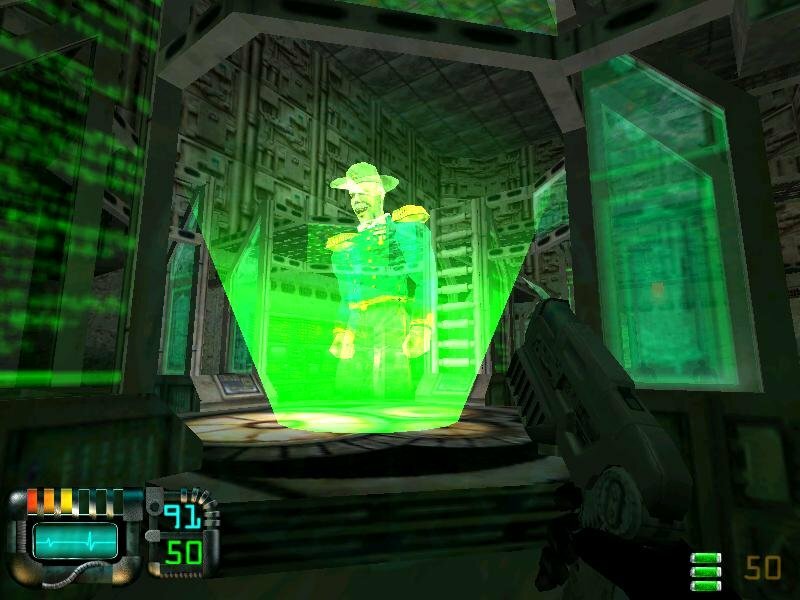 You’re eventually briefed and sent off to investigate an odd signal on some secluded alien planet, and that’s when the game goes into high gear. 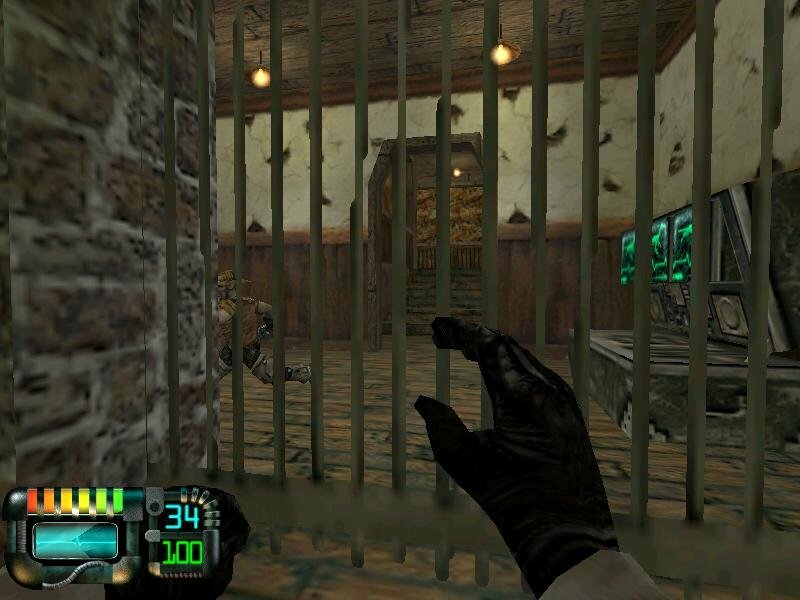 Gunman Chronicles won’t wow you with its plot, but it does have the same gripping action that cemented the original Half-Life as a classic. 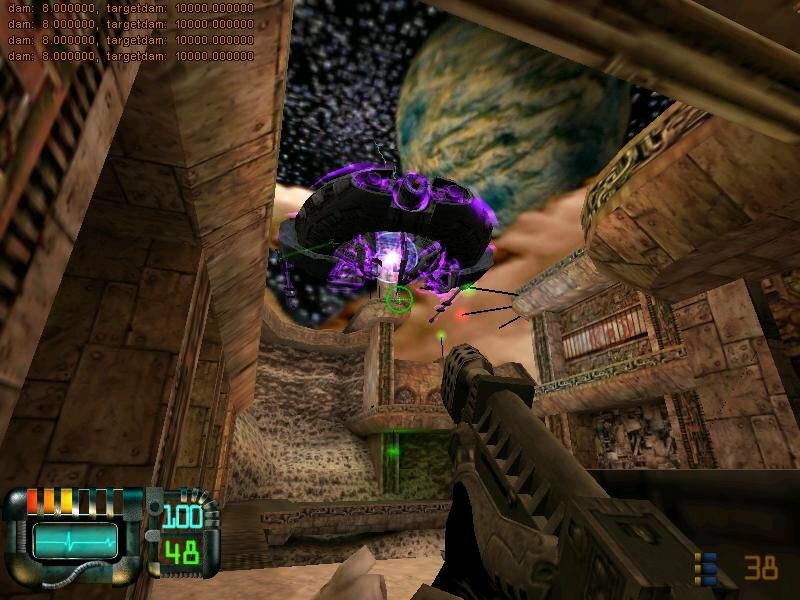 The combat is frantic and enjoyable, and is complemented by a rather sophisticated weapon modification system. 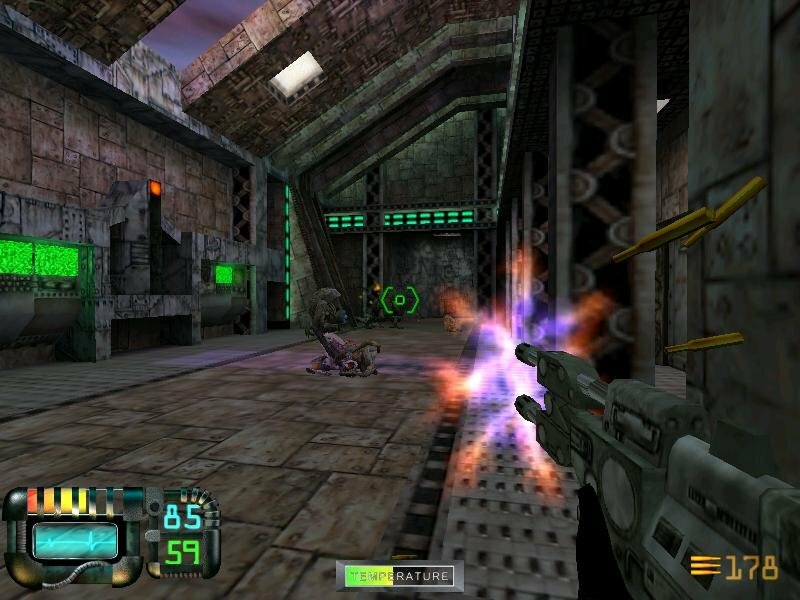 Your arsenal consists of only half a dozen progressively more powerful guns, but many of them have a customization menu that let’s you change everything from shell dispersion to the projectile speed, punch and trajectory of your missile launcher. The few ones that don’t have their own menu at least offer an alternate firing mode. The machinegun, for instance, lets you change the rate of fire. Excluding your knife and fists, every available weapon can be modified pretty extensively. 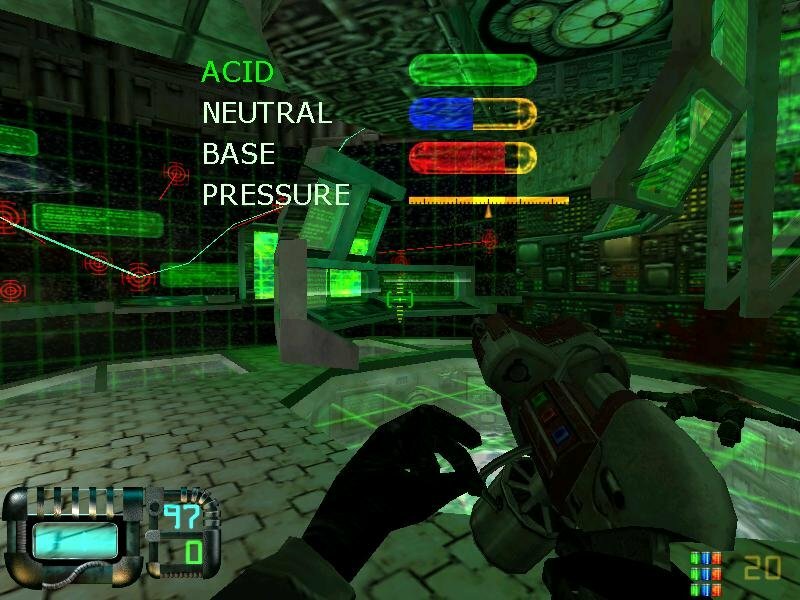 Some of these options are less useful, like changing the shotgun’s shell count and firing rate, but others are more interesting (like calibrating the compounds inside a chemical gun). 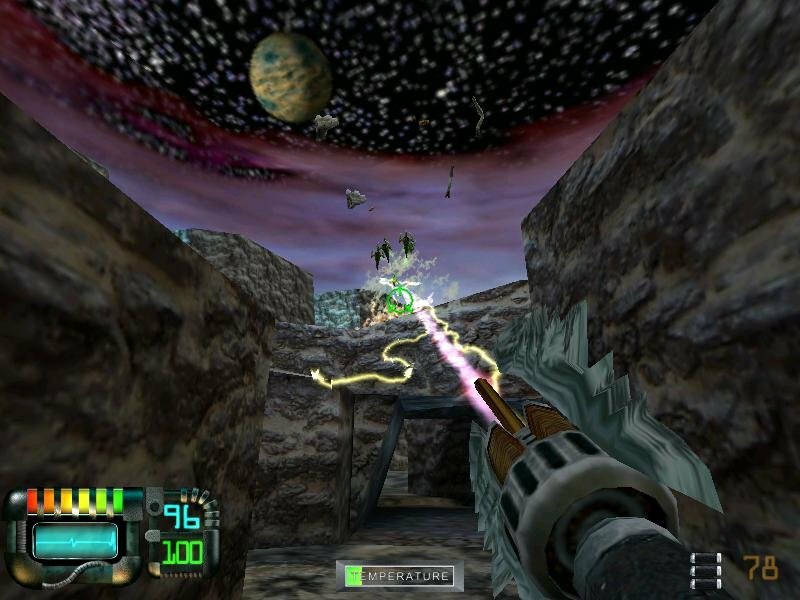 A rocket launcher called the M.U.L.E. (Multiple Unit Launch Engine) is probably the most fun. 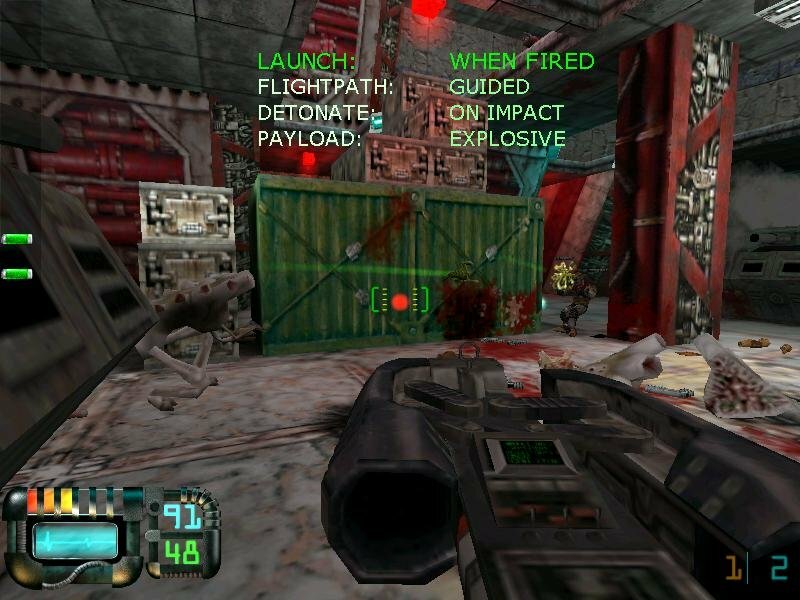 Adjust a few dials and you turn your launcher into an anti-aircraft gun, or turn the warheads into trip-mines, or maybe set them to cluster-mode to kill packs of bad guys in closed spaces. Another cool distraction was the tank. 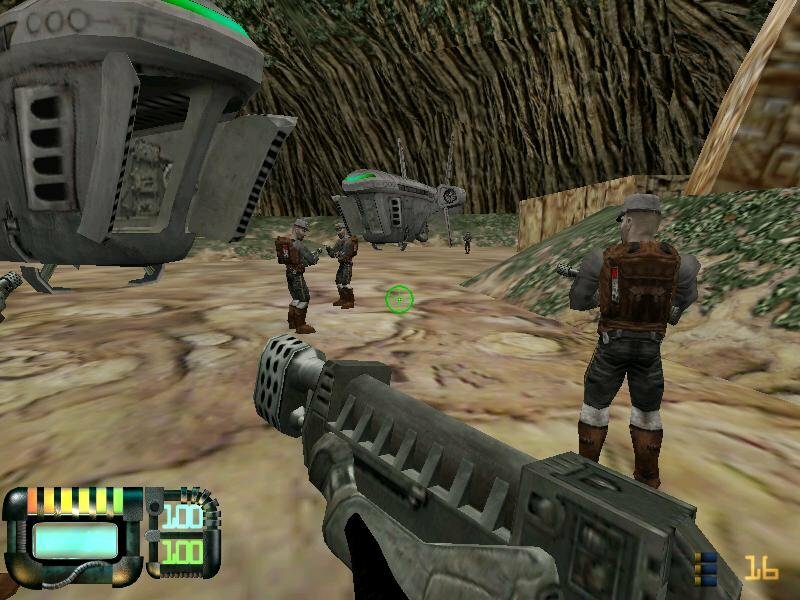 A good portion of the later game can only be traversed with a ‘space’ tank on a wild-west themed planet crawling with bandits. 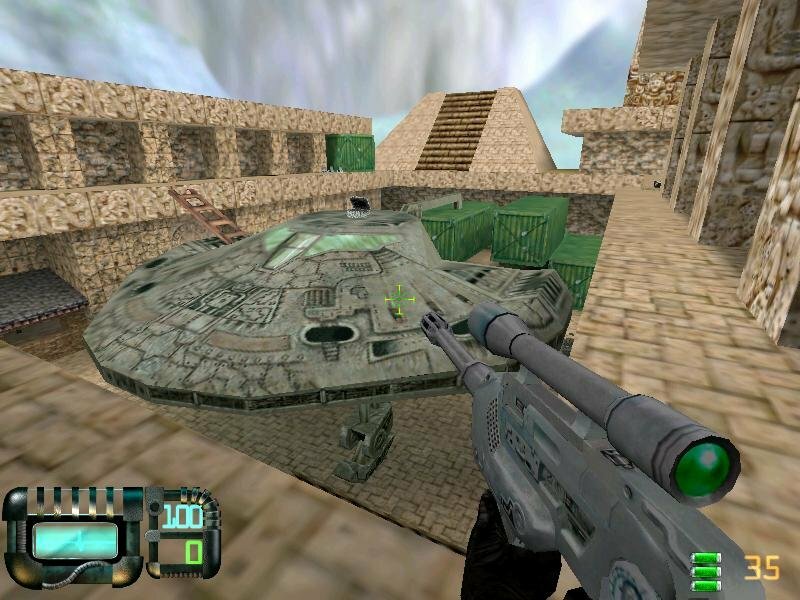 At certain points, the tank serves more of a puzzle solving element reminiscent to the underground train from Half-Life, periodically requiring a refuel or a path clearing on foot. 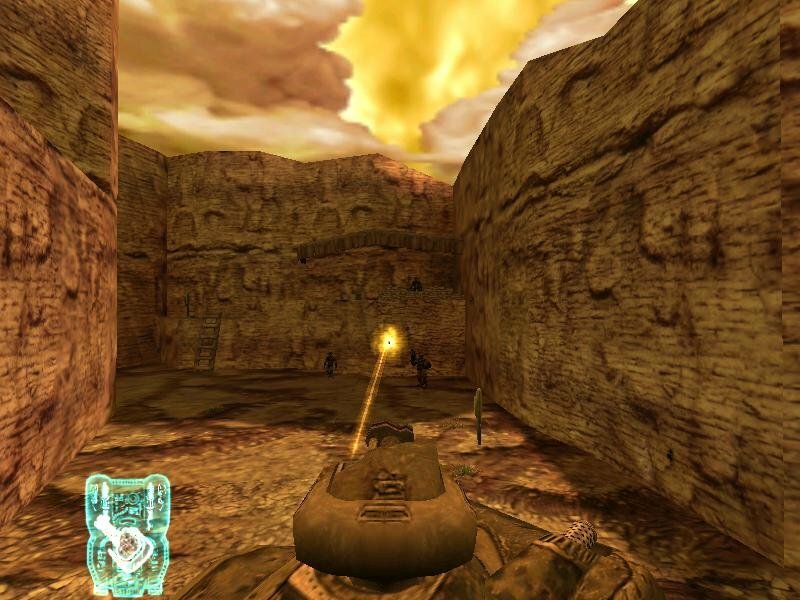 Oddly enough, the space tank is invulnerable to every type of enemy fire, which is a huge letdown once you realize it. But it’s just as fun mowing down hapless bad guys. 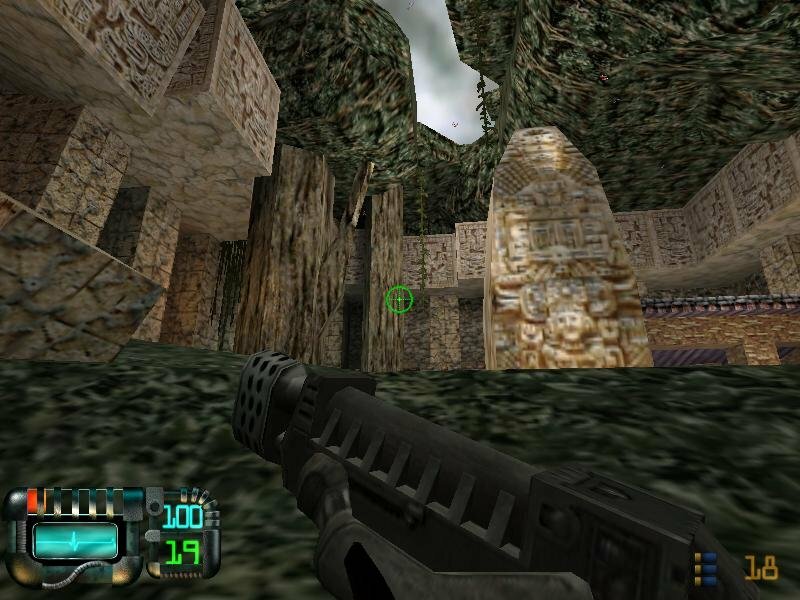 Gunman Chronicles is what you get when you take a talented group of people and put them on a project without an experienced director to call the shots. It contains many individual elements that are quite good, but those elements don’t pull together into a cohesive whole. 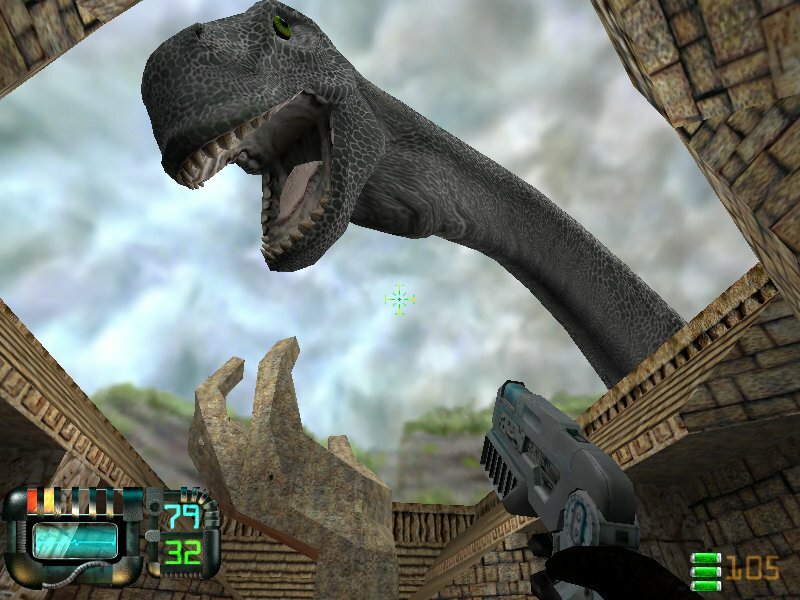 Yet it’s still an interesting ride, with a long campaign, varied levels and plenty of action. 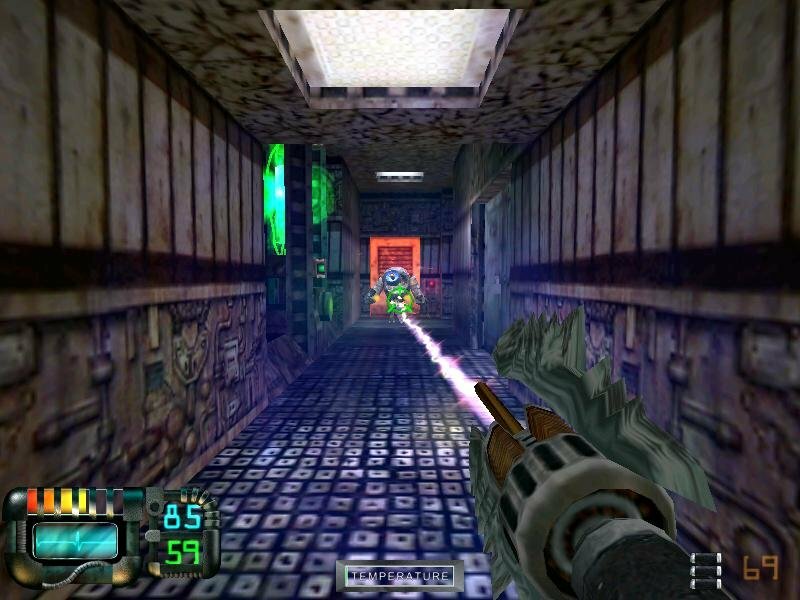 As a result, anyone who had fun playing Half-Life or its many mods will undoubtedly find enjoyment with Gunman. 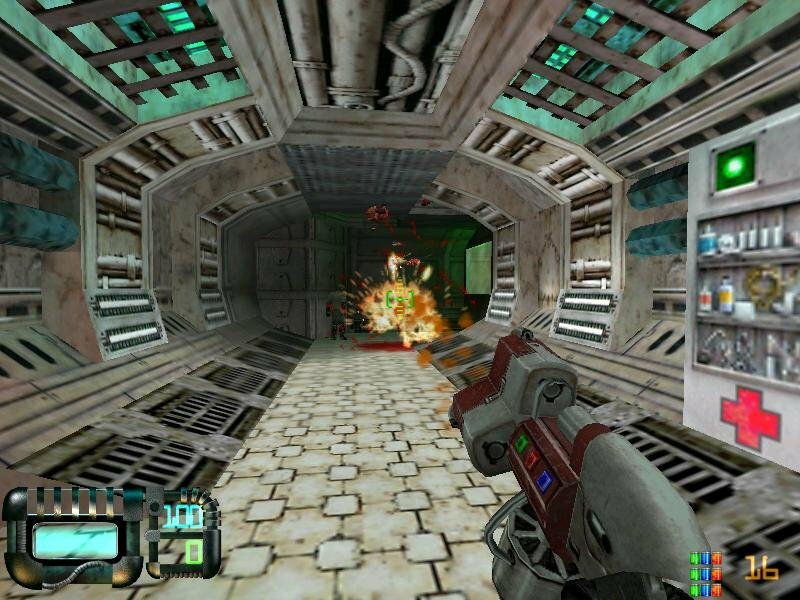 i have installed this game twice and tried running it in all the compatibility modes and it still does not run.in xp compatibility mode it says insert disk in win 95 compatibility it does not start at all and if i make it run in 640×480 it starts and then closes without doing anything .Sorry to bother you with this but this is a special game to me and i would really like to play it. ps i’m on windows 7. That’s why i’m sticking with Windows XP. 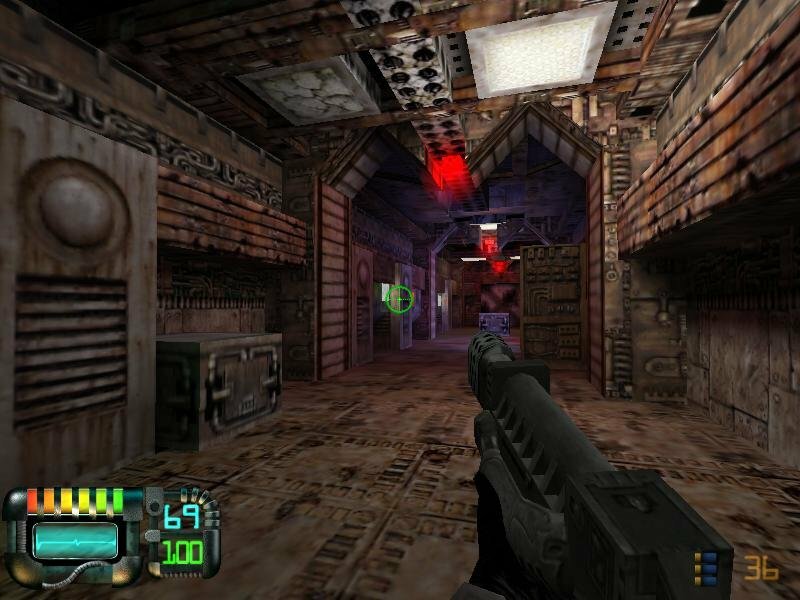 No problems to play golden era games (best games ever). Also this OS is rock stable, has professional UI with all needed options. Security? Just grab antivirus. Gunman is really nice game. Having the same issues as Chalupa. Win 7 64 bit. Says I’m missing several .dll files when launching the .exe directly.